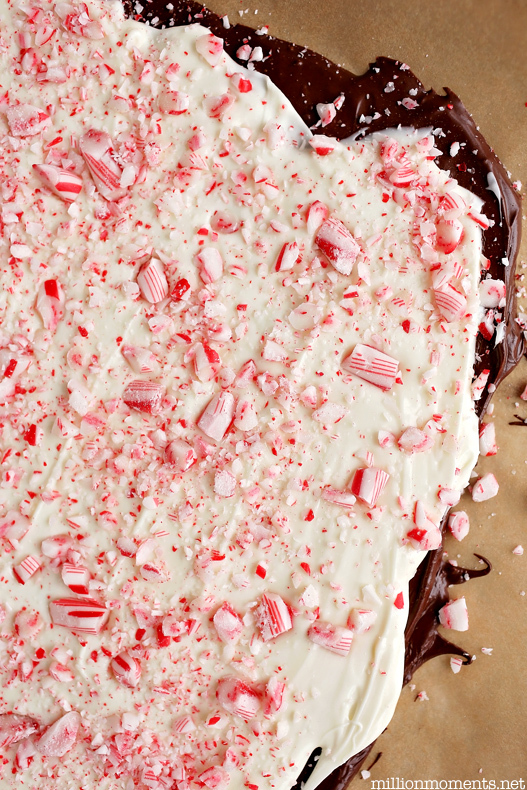 I’ve always been a fan of peppermint flavored creations during the holidays. I don’t know why, because I normally don’t like peppermint at any other time of the year, but there is just something about that minty flavor that goes along with the holiday season for me. I mean, there are some things that just are the holidays for you, right? 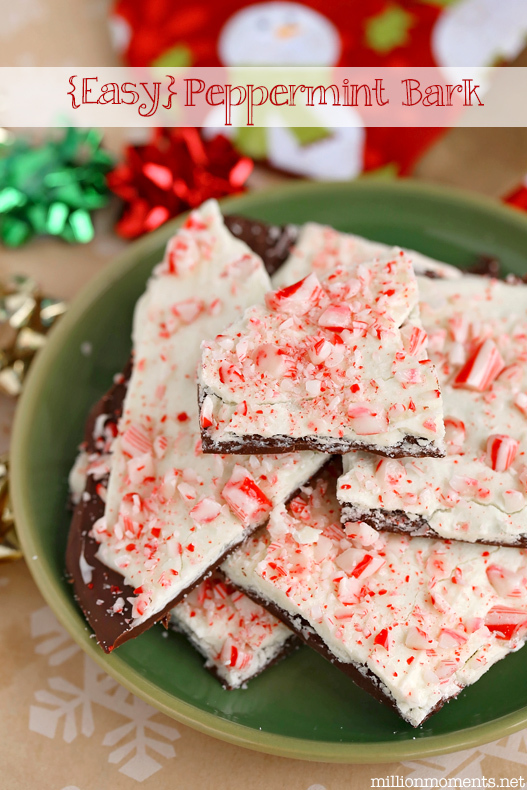 Well that’s what peppermint is for me, so I have a fabulously easy recipe for some holiday peppermint bark that is as delicious as it is simple. 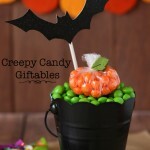 This is fabulous as an everyday treat, a great edible gift or for a fun holiday themed party! 1 package of candy canes (it doesn’t matter what size, but the regular 5-ish inch ones work well) If you can find pre crushed candy cane that’s even better! 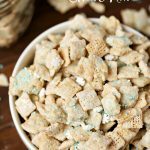 To make these you will need to pour each of your bags of chocolate chips into a microwave safe bowl. Set up your space by spreading a sheet of parchment paper onto a cookie sheet and placing it in the freezer. Now, microwave your chocolate according to package directions until evenly melted. Once that is ready, take your cookie sheet out of the freezer and pour your chocolate onto it, spreading with a spatula as you go so that you end up with an even layer of chocolate covering it. Let it sit for around 15 minutes so that it sets and hardens. While you’re waiting for your chocolate to set go ahead and crush up your candy canes. To do this you can either do it by hand (super slow) or just put them all in a food processor and pulse a few times. So once your chocolate is set, melt the white chocolate and repeat the pouring and spreading process. 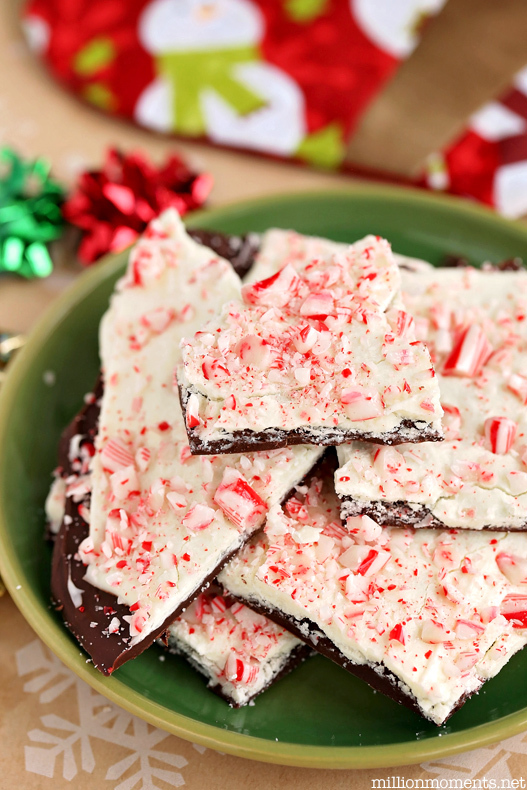 Immediately sprinkle a generous layer of crushed peppermint onto your white chocolate and then let the whole thing set for an hour. 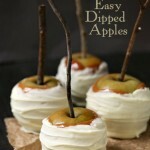 Once it has hardened, take a knife and cut it into strips, chucks or whatever shape you’d like and serve! 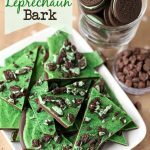 This bark is great for holiday parties either as a dish on a table spread or even in little treat bags for your guests to take home! Wasn’t that super easy? And since you followed all the way to the end, I’ve got another treat for you! 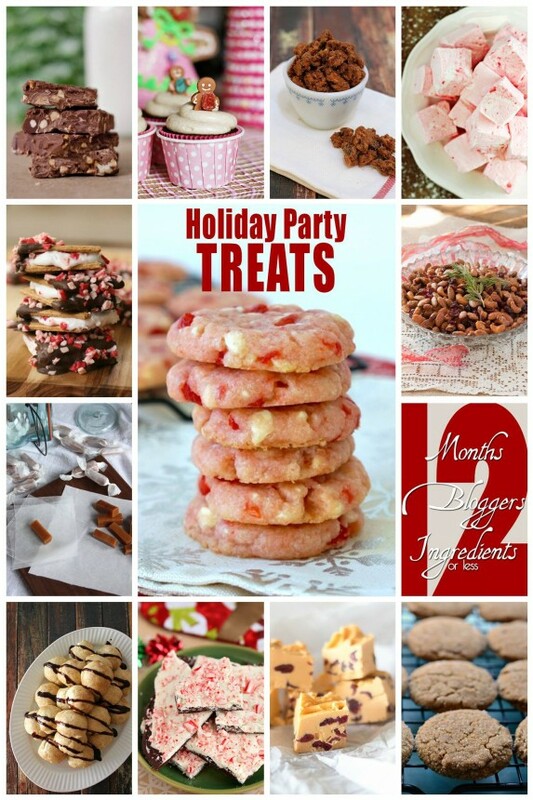 As you know, today is the very last month of my 12 bloggers recipe challenge for 2014 – we’ve gone through 12 months of delicious recipes, and we are closing it out with an entire collection of holiday party treats like my yummy peppermint bark! 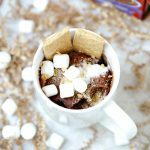 So, sit back, relax, and check out my fellow bloggers amazing creations below!